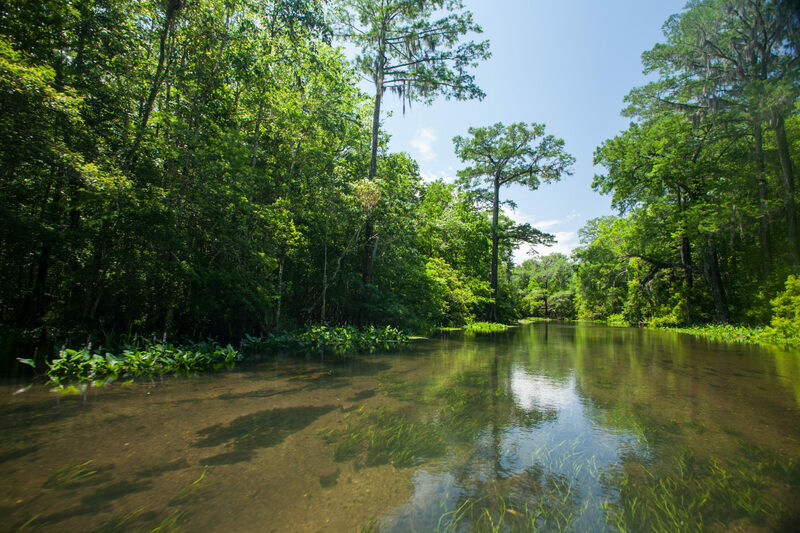 Known as North Florida's most lively and diverse body of water, the Wacissa River and its springs are a must-see when in Jefferson County. Along the river are 22 different springs to explore. The river itself is actually recognized as a state paddling trail, making it safe, clean and frequented by nature lovers of all kinds, including bird watchers. The water is remarkably clear, allowing visitors an intriguing look at native aquatic flora and fauna. OTHER: Family friendly. Dogs allowed on leash. Public bathrooms. No camping. NEARBY TOWNS: Monticello - 18 miles; Tallahassee - 21 miles; Gainesville - 134 miles; Jacksonville - 153; miles Pensacola - 221; miles Tampa - 230 miles; Atlanta, GA - 265 miles. ACTIVITIES: Canoeing, kayaking, fishing, tubing, swimming.